Maurice Solar Pvt. Ltd is a gradually growing company started in 2017. Board of Directors in the company is – Mr. Harender gupta (Director of finance), Mr. Abhishek sood (Director of Sales and marketing), Ms. Samriti sood (Director of Project / Designs). Head office of the company is in Himachal Pradesh. The main focus of the company is to serve the nation through their continuous efforts in making the environment friendly products. With a noble vision of harnessing and then converting Solar energy into electric energy by using solar products without leaving a single footprint of carbon, the company is undertaking several solar projects leading to a greener environment. The company is doing projects in North India and willing to serve the nation with its cost effective and energy saving products. 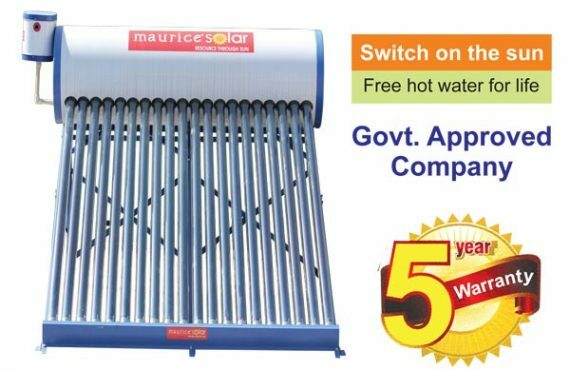 Company has installed more than 2 lakhs liter of Solar water heaters, 5000 numbers of Solar street lights and installed more than 5 MW of Solar power plants.